It makes sense that Apple would kick YouTube out of iOS — sort of. After all, YouTube’s parent, Google, is Apple’s biggest rival. On the other hand, Apple doesn’t have a competing video-sharing service, so iOS users will likely access the YouTube Web app, which most are probably already doing anyway. That gives Google much more control over the experience — including the presentation of ads. Soon iPhone users won’t see the YouTube app on their handsets and will have to go to the YouTube website from the Safari browser. 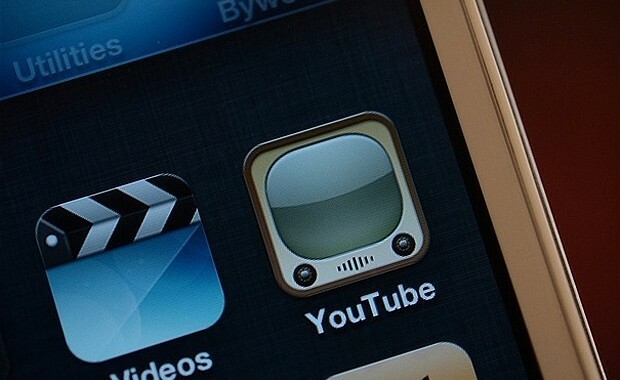 Apple won’t be including the app in iOS 6, as its licensing deal with YouTube is now ending. The video-sharing social networking service is now owned by Google, of course, and this could be Apple’s latest move to reduce the presence of its rival on the iPhone, iPad and iPod touch devices. “Apple is leery of offering Google any mind-share in its iOS,” said Josh Crandall, principal analyst for Netpop Research. “When launching the iPhone, Apple made use of the YouTube and Maps technology to build innovative mobile apps. But since Google developed the Android OS, Apple is increasingly wary of Google’s footprints in iOS,” he told MacNewsWorld. This could mean Google — as in Google the search engine — could eventually be squeezed out of Apple devices. Apple has already removed the Google Maps application from iOS. Google and Apple did not respond to our requests for further details. While Apple is clearly looking to reduce Google’s footprint, the YouTube decision is interesting in a couple of ways. First, users won’t be precluded from simply using the Safari browser to access YouTube’s mobile website, which actually is more robust than the app version, but also because at present Apple doesn’t even have its own video- sharing service. “The removal of YouTube comes as the license for the app ran out,” said Chris Silva, industry analyst for mobile at Altimeter Group. “I see this more as Apple letting the license lapse to keep options open for the future vs. actively shutting Google out here,” he told MacNewsWorld. “As user sophistication with mobile video consumption as a whole has grown, and with the use of services like YouTube, having a dedicated app taking up screen real estate seems a bit of an antiquated notion,” added Silva. But cutting off the app, which was still popular with some users, seems to be a strange move. “The decision to remove the YouTube app is a bit harder to parse since Apple doesn’t have an analogous video service to offer,” King told MacNewsWorld. “Plus, even if it did decide to launch a competing solution, YouTube’s market position would be difficult, if not impossible, to overcome. At the end of the day, Apple’s decision to first stop developing and then to kill their YouTube app seems to be little more than a bit of pissy self-indulgence,” he said. “Ironically, it also offers Google a chance to develop a YouTube app that shows iOS users what they’ve been missing all along,” added King. Could Apple respond by blocking the access to YouTube entirely? “The more likely scenario would be that Google simply won’t optimize the site for Safari,” said Silva. Apple appears to have the ability to cut Google out of its iOS 6 platform, but Google has little way of responding — except to create its own platform and draw away users. In essence, that is what started this showdown; Google created Android. The direction this could lead is toward closed ecosystems on mobile devices, where everything is controlled by the manufacturer or OS creator. What might this mean for those who want to make a switch from one handset platform to another? The companies must see this isn’t a winning scenario for anyone, down the line. So can this path be avoided? As long as the mobile Web exists, it could be a way around apps — and just as smartphones saw apps draw away Web users, a closed ecosystem could give the mobile Web a renewed reason to think outside the box.